Doors can not accidentally jump the track. Wheels never need lubrication. Doors can be hung or removed without detaching hangers. LifeSpan Limited Lifetime Warranty. 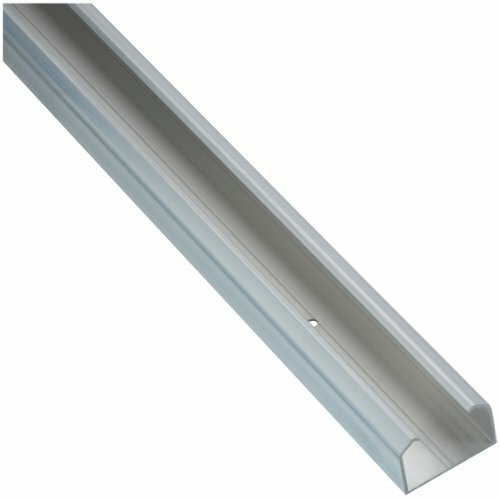 Rail offers steel track with decorative finish. Features:For 1-3/8" and 3/4" thick doors in conjunction with each other5/16" adjustmentFor doors up to 60 lbs.For 1-3/8" doors use CD40-3092 with 3/4" offset on front door and CD40-3088 with 1/2" offset on rear doorFor 3/4" doors use CD40-3088 on front door and CD30-3092 hangers on rear doorOffset 1/2"
Features. 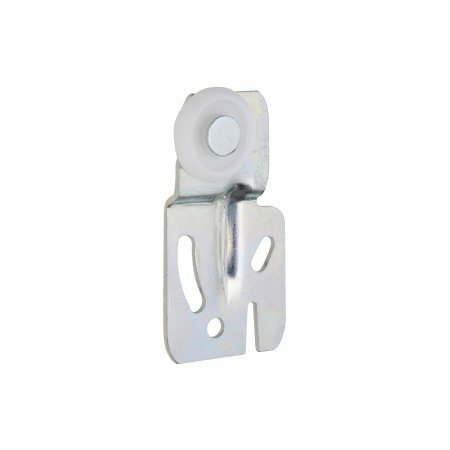 Replacement hanger for sliding doors. 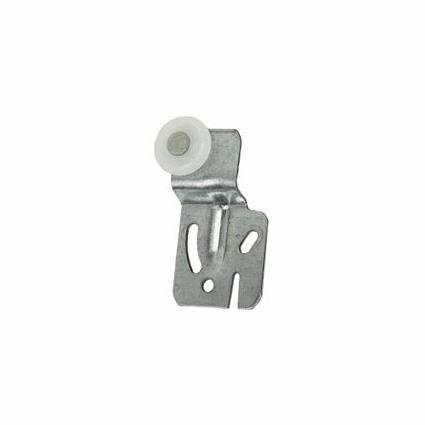 Offers easy-to-install one-piece hangers. Angled slots allow easy adjustment. Finish - Zinc plated. Size - 14 in. 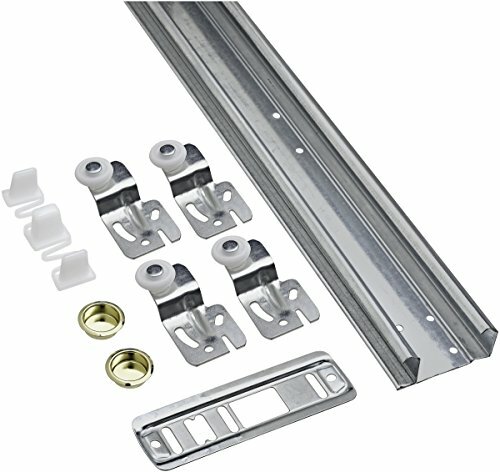 Pocket door aluminum track. 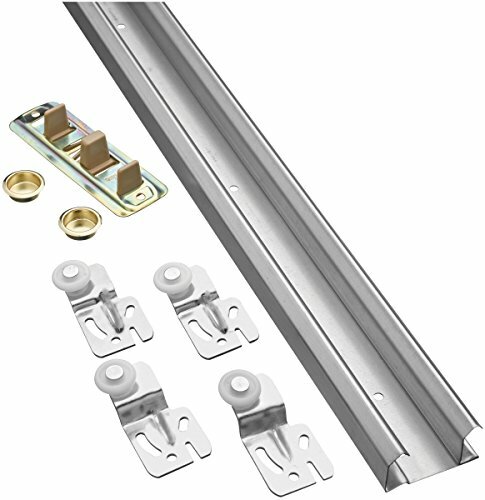 For single door, pocket, bypass and bi-fold applications. 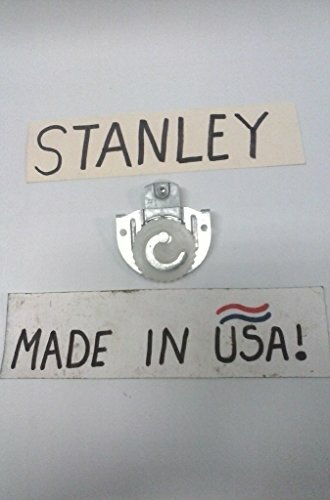 Track only, Stanley door hanger sets sold separately. Clear coated aluminum. 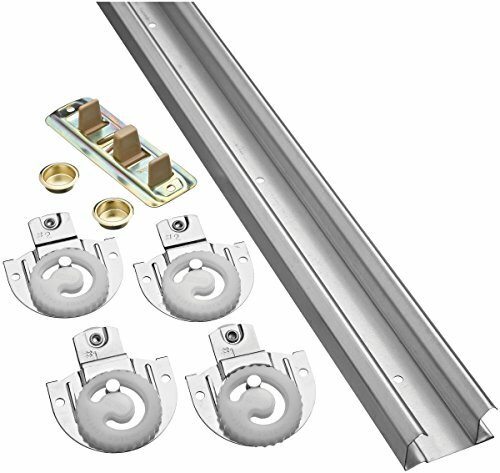 How to install, replace slider closet doors and track. Easy! Home Mender.